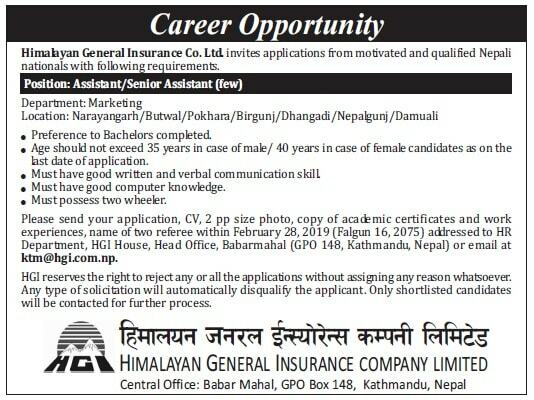 Home / Vacancy / Career Opportunities at Himalayan General Insurance Co. Ltd. for Assistant/Senior Assistant positions. Career Opportunities at Himalayan General Insurance Co. Ltd. for Assistant/Senior Assistant positions. Himalayan General Insurance Co. Ltd. invites applications from motivated and qualified Nepali nationals with the following requirement.